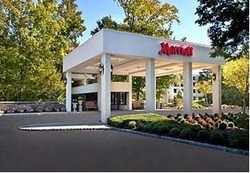 My favorite lounge in the Monsey area was the Park Ridge Marriott . It is about 15 minutes from Monsey and it's very easy to get to (especially with a GPS). The hotel is generally very quiet and I have only met other dates there occasionally. 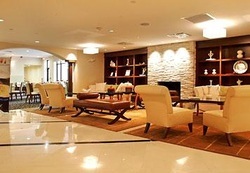 The main lounge is to the left immediately upon entering the lobby with a number of couches to sit on. Right past it is the bar where you would get drinks. If the lounge is full for some reason, then further into the hotel you will see sets of two chairs some on the right and some on the left. I never had any problems when going to this hotel; there are no real cons. 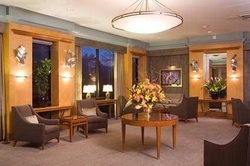 The Sheraton Mahwah is a very nice hotel located off of the the NJ17 in Mahwah, NJ. Getting there can be a little tricky but it really isn't hard. The hotel is very nice inside with an indoor waterfall and lots of seats all over the place. If you go during the day, there are fountains and a pond to walk around outside. The Hilton Pearl River is a popular dating spot although I never used it. 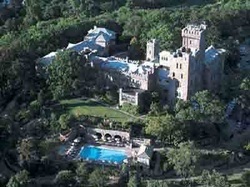 It's a little further away than the other hotels, between 20-25 minutes of driving down the Palisades. 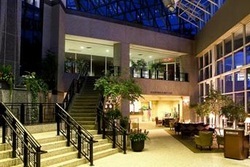 It has nice lobby and a think it also has a few other places to sit down its hallways. The only thing to be careful about is if there is a wedding there then it really isn't conducive to dating (especially if it is a Jewish wedding!). 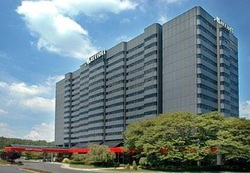 The Hilton Woodcliff Lake would be my third hotel on the list. Getting to the Hilton is a drop easier than getting the Marriott but it has a few cons as well. The lounge is nice, but not especially big. One issue is that the lounge is right near the open bar which plays loud music, but you can sit far enough from the bar that it does't necessarily ruin your conversation. Additionally, the lounge is right next to the hotel's hall which sometimes hosts loud parties. I personally used this hotel as a backup, but others preferred it; to each his own. 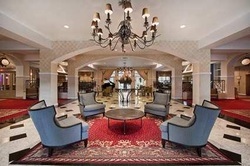 I have never personally used the Courtyard Marriott in Montvale for a date but I have checked it out with other people and it looks like a very nice hotel. It has a large lounge area and I don't think it is that busy. I have friends who used it on dates and were happy. One of its major advantages is that if you take RT45 straight down from Monsey it is almost impossible to miss. The Glenpointe Marriott is a very nice hotel. The lobby includes a small waterfall and a stream running through it. In the lobby there are many places to sit as well as a smaller upstairs lounge and throughout the building there are places to sit. The hotel is about 30 minutes from Monsey but is located minutes from Teaneck NJ, which is very good for later dates because of Teaneck's many restaurants. 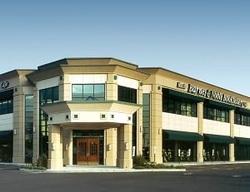 (For other advantages of Teaneck in relation to Monsey see the Restaurants: Teaneck.) 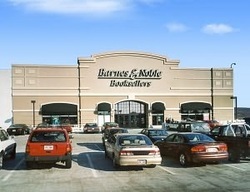 This is also a good dating spot from Passaic.